Manila - United Nations Secretary-General Ban Ki-moon visits the Philippines including areas affected by Typhoon Haiyan to support Filipinos for its rebuild efforts in the wake of super Typhoon 'Yolanda' (Haiyan) and express solidarity with affected communities in the country. A joint press conference with the Secretary-General and the Secretary of Foreign Affairs, Hon. Albert F. del Rosario held 9am today, December 22 at the Manila Peninsula Hotel. Ban Ki-moon emphasized that Philippines is showing leadership in improving preparedness and building resilience. The United Nations (UN) will be dovetailing the country's government in Yolanda-hit areas rebuilding projects. "I hope my visit will provide an occasion for international community to focus on Philippines, not forgotten crisis. I join Philippine government in thanking 25 nations in overcoming humanitarian assistance and logistical hurdles", UN SG said. Ban Ki-moon also reviewed the government 4-year YolandaPH reconstruction plan and said it will create high-level of disaster resilience. On the current efforts, he is happy to announce that aid deliveries have been scaled up significantly. More than 4 million affected people have now received food assistance and more than 200,000 households have received emergency shelter. DFA Sec. del Rosario expressed gratitude for Ban Ki-moon's presence and said it is a manifestation of personal leadership which touched Filipino hearts. On Saturday, December 21, Mr. Ban travelled to Tacloban to visit communities that were left devastated in the wake of the most powerful typhoon ever to make landfall. 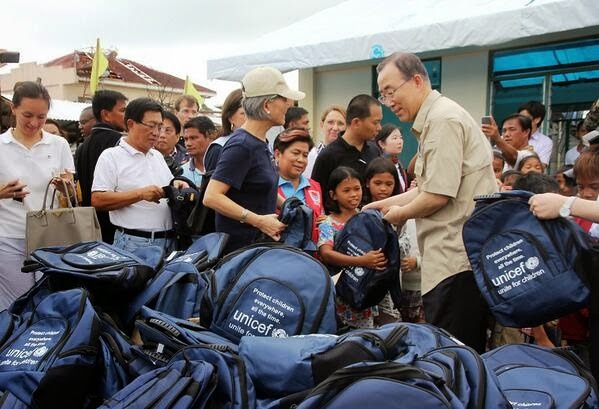 Ban Ki-moon received warm welcome from Yolanda survivors. "Never despair, UN is behind you, the world is behind you . 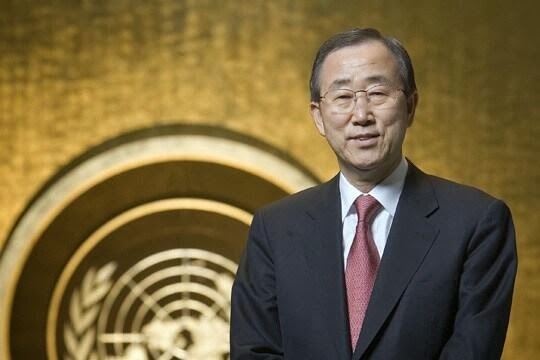 ", Ban Ki-moon said to Yolanda survivors. The three-day visit (December 20-22) of UN SG Ban Ki-moon to the Philippines highlights that Filipinos should rise again and be stronger, better and more resilient than before.